Bermudian rower Jess Rego, along with teammates Caroline Wilson and Susan Ronaldson, are getting set to take on a 50 day, 3,000 mile row from the Canaries to Antigua in support of the Marine Conservation Society’s ‘Clean Seas’ programme. 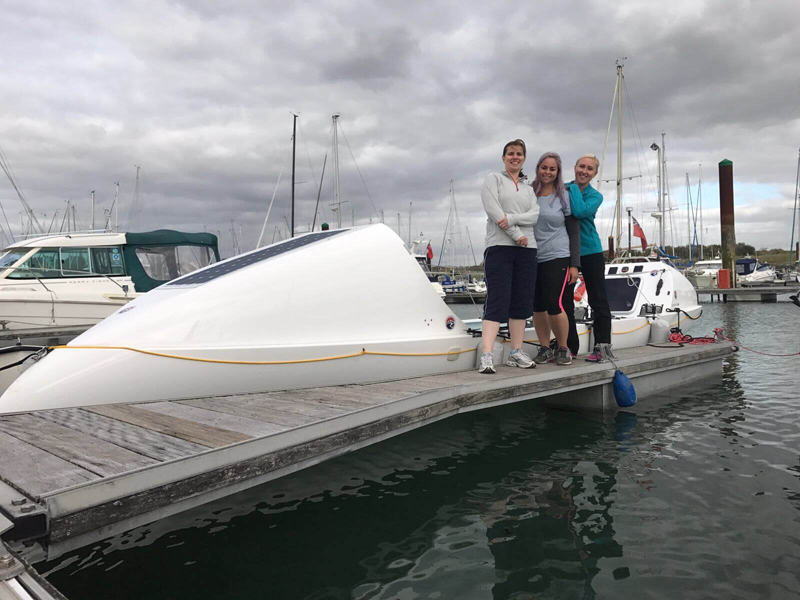 A spokesperson said, “Racing in the Talisker Whisky Atlantic Challenge in December this year, the team will be rowing non-stop for 50 days, in an attempt to become the fastest, and second ever female trio to row across the Atlantic. “At the mercy of the elements, the team will face a constant battle of sleep deprivation, salt sores and the physical extremes of rowing for 12 hours a day – 2 hours on, 2 hours off. “It is estimated that by 2050 there will be more plastic in the ocean than fish. With each stroke of the oar they hope to inspire one less bottle dropped, and one less piece of plastic washing up on our shores. “We believe that tackling the plastic pollution crisis starts with the individual. We hope to bridge the gap between awareness and action by inspiring everyday changes that add up when we make them together. “Caroline, a web developer living in Hackney, London, is a keen runner and cyclist and a believer in leaving the world in a better state than she inherited it. Caroline is planning to power the row on an all vegan diet. “For Jess, as a Bermudian, the ocean has always been strong and important presence in her life. A long time activist, Jess strongly believes in the power of everyday changes and that plastic prevention is the real solution we need. You go girls! We’ll be following the reports of your journey… and cheering you on. Are you raising money too? Yes they are. They need sponsorship and donations. Currently we’re raising funds and looking for sponsors for the race but once we hit our target any extra, along with the large percentage we plan to recoup by selling the boat when we finish, will be donated to the Marine Conservation Society so they can continue the important work of cleaning up the ocean and preventing future pollution. I made plans to do something to this extent and my friends looked at me as if I was crazy! Best of luck and I can’t wait to read about your journey!